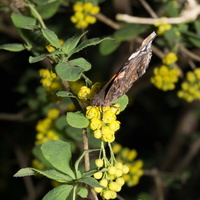 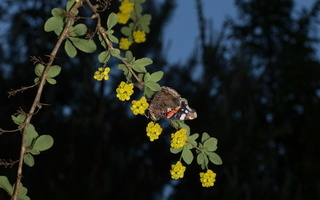 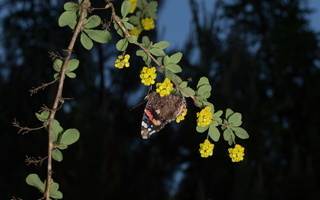 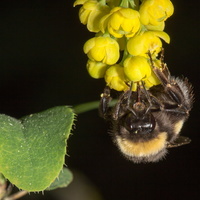 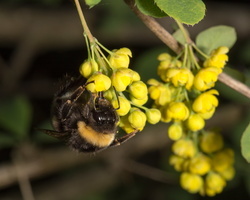 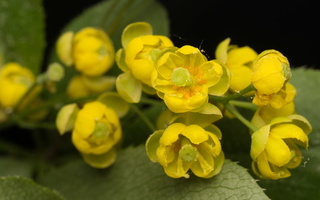 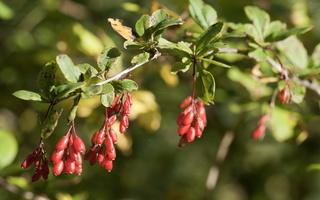 EN · common barberry, European barberry DE · Gewöhnliche Berberitze LV · parastā bārbele PL · berberys zwyczajny RU · барбари́с обыкнове́нный The fruit is a small berry 5-15 mm long, ripening red, elongated (like a bar, hence 'barberry'). 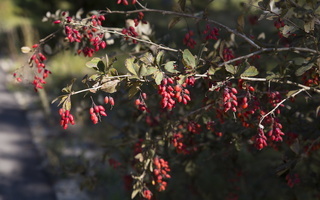 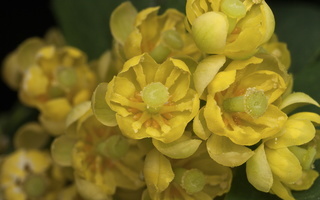 The berries are edible, and rich in vitamin C, though with a very sharp flavour. 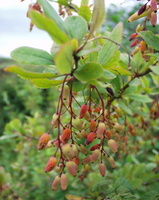 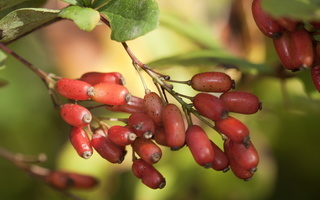 European barberry is the alternate host species of the wheat rust Puccinia graminis, a serious fungal disease of wheat. 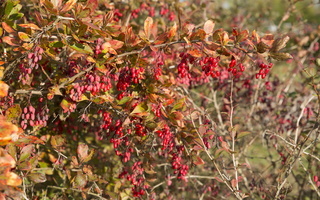 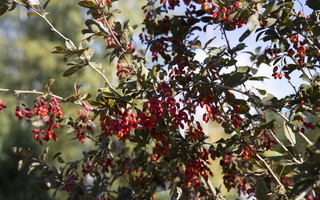 The deciduous thorny shrubs are noted for good autumn colour, the leaves turning pink or red before falling.